Name Origination: By using my last name and the fact that dogs run in a gang-line. The Dalton Gang will be returning with several finishers from the 2018 race. Leader brothers Bobber and Spinner making their 5th race appearance, along with the 7 Dwarfs sibling Happy, Dopey, Grumpy and Doc. Panda's pups Grizzly, Yogi and Polar are back. Last years rookies from Country singers liter, Hank Jr., Willie and Waylon will back. Competing for their spot in this years line-up are the rookies from the Chip litler: Ruffles, Cheeto, Maui, Scoop along with the Outlaws: Scarlet, Kitty, Butch and Billy. I became the owner of a litter of 13 Airdale/Alaskan Husky puppies and they started my recreational sled dog team. Taking a young, inexperienced dog team and watching them grow stronger and more confident. To improve over last year with a happy and healthy team. Theme names from family, friends and puppy sponsors. 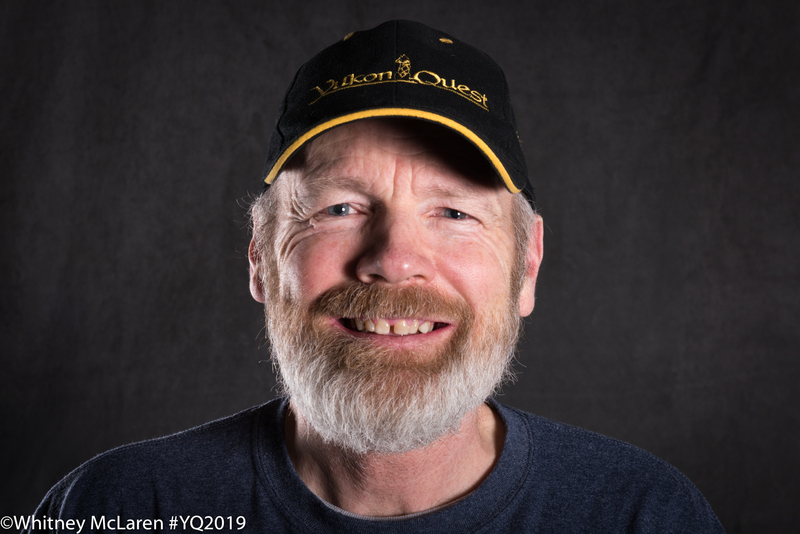 2018 - Yukon Quest - 10th; 2008 - Yukon Quest - 3rd; 2006 - Yukon Quest - 4th; 2005 - Yukon Quest - 4th; 2004 - Yukon Quest - 3rd and the Veterinarian's Choice Award for finishing with all 14 dogs; 1988 - Yukon Quest - Rookie Race - 21st and started with 12 dogs and finished with 12 dogs.